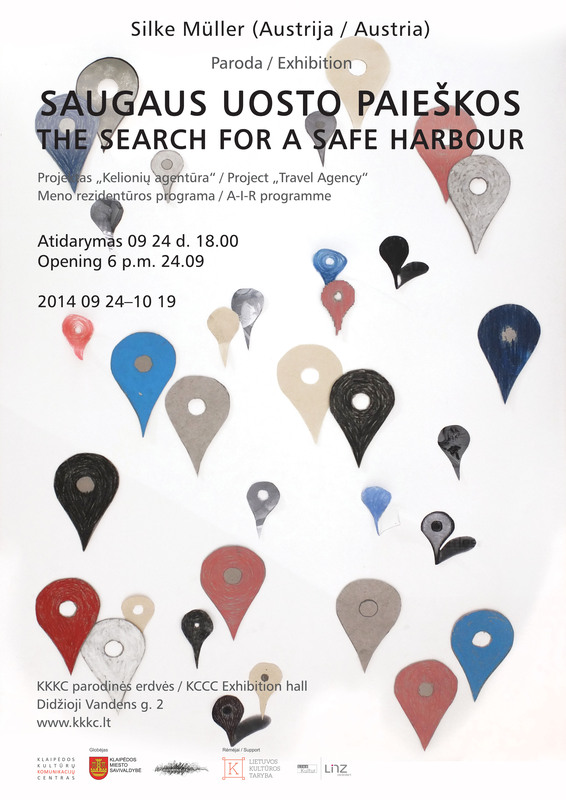 One year in “The search for a safe harbour”, the calling port Klaipeda is in this moment my current location. As European citizen I tried to find 26 + 1 positioning marks between public and private concerning the idea of free mobility among and besides the European Union. With drawing and collecting an illustrated research I want to touch a position on a map, where so-called Western humanity and privileges are setting horrifying borders. On October, 3rd, 2013 was a day for crying. An Libyan migrant ship, on voyage from Misurata, Lybia to Lampedusa (Italy) with about 500 Eritrean and Somalian migrants, lost power, caught fire and sank after capsizing. 1 1/2 nm away from the safe harbour of the European island Lampedusa, 1/2 nm before the shore of Isola dei Conigli (Rabbit Isalnd). Most of the poor passengers have paid between $8,000 and $12,000 dollars for the transfer to Europe. 366 people drowned. They could see land. 155 people survived the disaster. Lampedusa developed in the last 20 years into a symbol for European tragic. The coast guard of Klaipeda states: in port territory of Klaipeda there had been 3 illegal migrants in 2010 – 2 refugees from Morocco (ship with Panama flag) and 1 citizen of Mali got illegally into ship in Mauritania (ship with Dominica flag). In 2011–2014 were no illegal migrants reported. Nächster ArtikelAchtung! Kragen anlegen! Der Kalender 2015 ist da.